Events have been part of society since ancient times and in contemporary society, we are seeing an unprecedented period of growth and popularity. The discipline of planning is a core skill for event management. In order to ensure their success it is vital, in advance, to consider how they will be delivered in a systematic manner. As a result, event planning has developed into a sophisticated area of management and there are many planning models that have been devised to provide a structure through which this thought can happen. 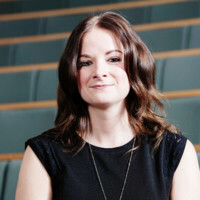 Chantal Dickson is a Senior Lecturer in Events Management at the University of the West of England (UWE) Bristol, UK. 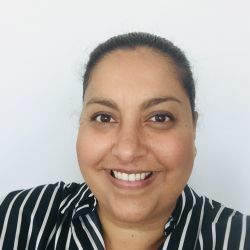 With over 15 years of experience in the events industry covering the business events and community events sectors within Australia and the UK, Chantal brings an international perspective on the industry to the classroom. In addition to working at UWE Chantal also works with a number of different events including Beatherder Festival and the MOBO awards. Day 1Welcome and intro to the module-event typologies, scales and impacts. Event planning typologies; approaching the event as a project. Day 2Origins and Meanings of Events – why do people want to come together? Exploring ritual, tradition and meaning and how they give our events purpose. Day 3Eventization of Society – is everything an event now? Event experiences – the value on creating the extraordinary. Day 4Event venues: why venue selection is integral to the success of your event. Day 5Influence of society on events – psychographic and demographic changes in how we live. Understanding event stakeholders. Day 6Pitching your ideas; creating and delivery winning presentations to clients. Day 7Creating a meaningful event experience. Programming strategies for creating enhanced experiences for attendees. Festivalisation of event experiences. Day 8Event Tourism-how events can build distinctive cities and places. How destinations create event portfolios of value. Day 9Event delivery: Students deliver an event experience to ESS students. Day 10Event Realities: Honest evaluations – are events really all good? Reflection on event experience and lessons learned. This module will use these planning models to provide a framework through which the student will investigate the origin of events and its place in society, how events are conceived, designed, controlled, delivered and evaluated and the challenges faced by the industry. Learning outcomes: The module aims to introduce students to the broad spectrum of events involved in the events industry and the factors influencing the development of these events. Further, this module will introduce the student to a range of theoretical event planning models and event theories. It will encourage students to consider how these can be applied to a diverse range of events. Bowdin, G.A.J., Allen, J., O'Toole, W., Harris, R. and McDonnell, I. (2011) Events Management, 3rd ed. Oxford: Butterworth-Heinemann, Elsevier. Dowson, R. & Bassett, D. (2015) Event planning and management: a practical handbook for PR and events professionals. London: Kogan Page. Getz, Donald. (2007). 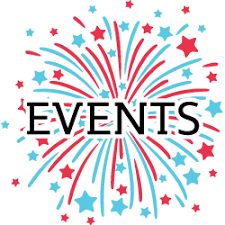 Event Studies: Theory, Research and Policy for Planned Events. Shone, A and Parry, B (2013) Successful Event Management. 4th ed. London, Cengage Learning EMEA. + series of topic relevant journal articles and case studies will also be utilised throughout the module.